Here we are on the Slovenian coast having chilled for the day. The endless driving has now hopefully stopped and we can start to kick-back and relax. But first in an action packed day. As we arrived back in our car park base the weather took a turn for the worse. So It was decided to head out and move coastwards. An easy thing to do in Slovenia, a country the size of a postage stamp. But for a country so small it does have three world class attractions; Bled in the mountains, Piran on the coast and sandwiched in between the caves of Skocjan. I have seen some caves; Blue John in Derbyshire, Cheddar Gorge in Somerset and some caves in South Africa where some fat yanks got stuck in an unescorted part. I have even been down Swildens in Somerset on many occasions as part of the St Albans caving club. But I have never experienced anything like the caves of Skocjan. These are the mightiest Europe has to offer and they are awesome. It is like being on the set of Lord of the rings where Gandalf falls down the hole at the end of the first film. Some of the caverns are 500 feet high. Breath-taking. After our afternoon speleology adventure we headed for the campsite at Ankaran. The campsite is on the coast. 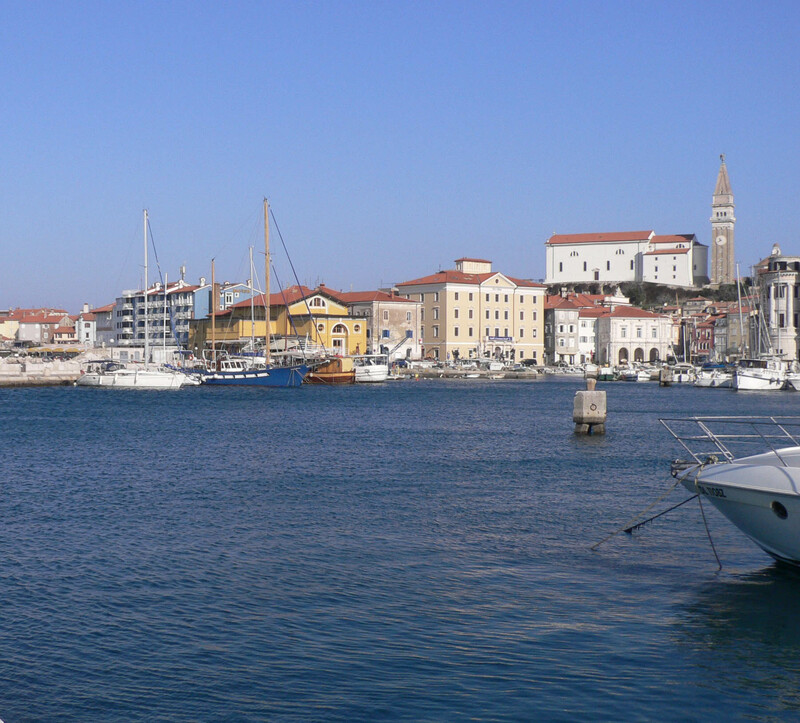 No mean feat when the coastline of Slovenia is only about 10 miles long and most of that is taken up by the docks of Koper. We do not like campsites at all but after the non-stop driving of the last week it was good to have a rest for a couple of days. 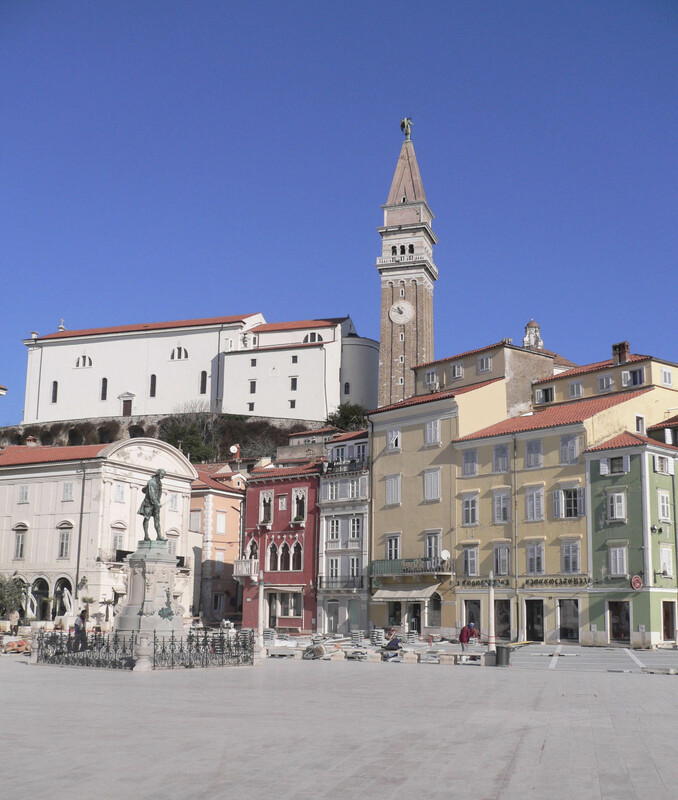 The last gem in the Slovenian crown is Piran, a bite size version of Venice on the coast. 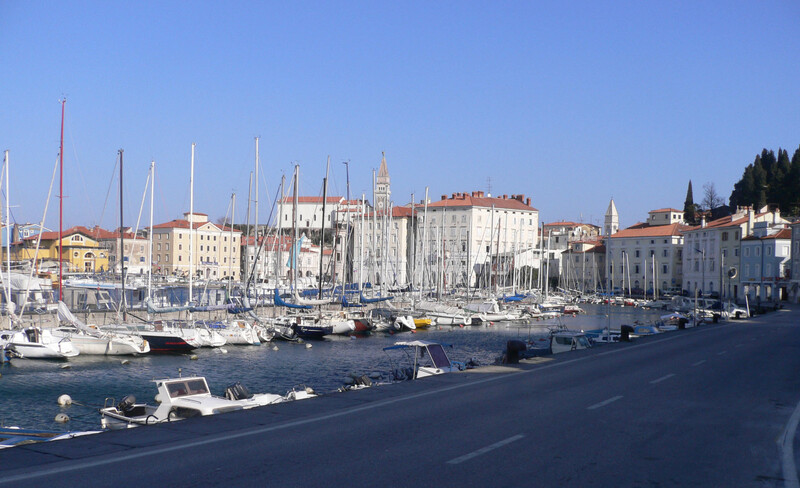 Piran is totally motorhome unfriendly and the only way to see it is to stay in the nearby campsite and cycle in. Wise up Slovenia.